Jo's Loaves: Third time's a Charm? Wowzers, so I won another award this year - this time is was the Real Bread Award from the Chiltern Society and I won for the Northern Region. 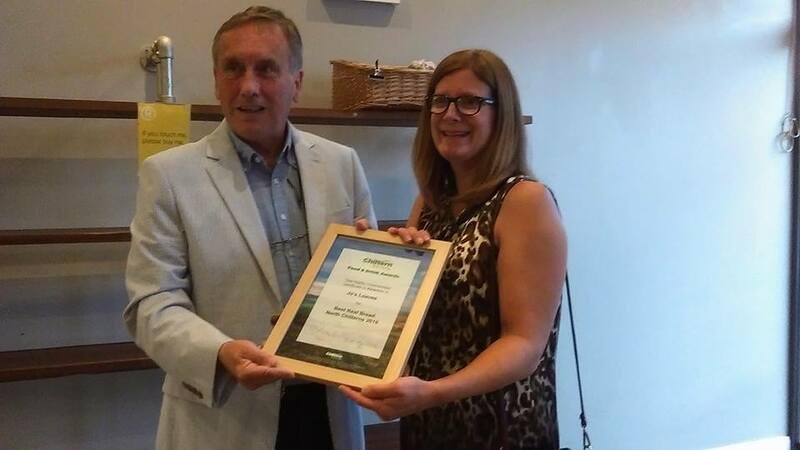 Really proud of myself that I am almost up there with Rex Bakery from Little Chalfont, who was the Central and overall winner and who kindly hosted the little award giving soiree on Monday night. 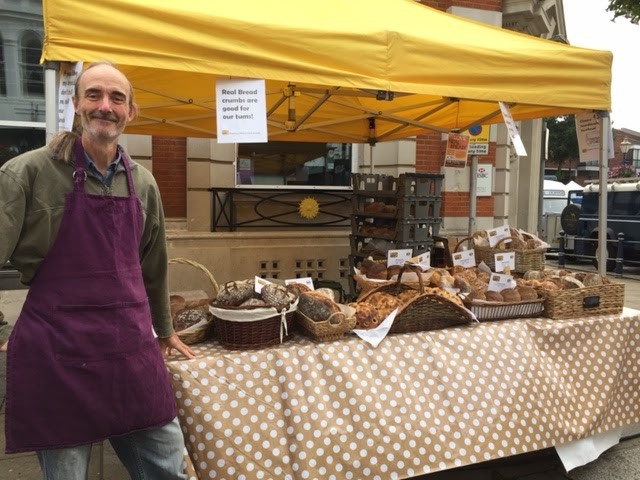 He produces some cracking breads and like me, comes from an academic background and learnt his trade in a relatively short space of time, driven by pure passion for his craft. He is absolutely flying at what he is does and has very kindly offered to give me a proper tour of his bakery, which I want to do as soon as I can fit it in. 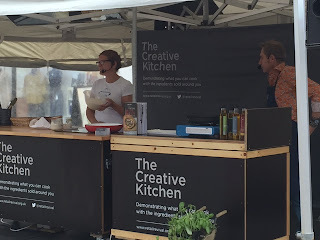 A week or two ago now, saw my debut at the Hitchin Food and Drink Festival. I was assisted for the first time, by one of my customers who I am delighted to now call a friend and who had never done this sort of thing before. I had no need to worry, since Gordon is a complete breadhead like myself, he chatted with ease, calmness and knowledge about the Real Bread that I make and why it is the best thing before, during and after the invention of sliced bread. 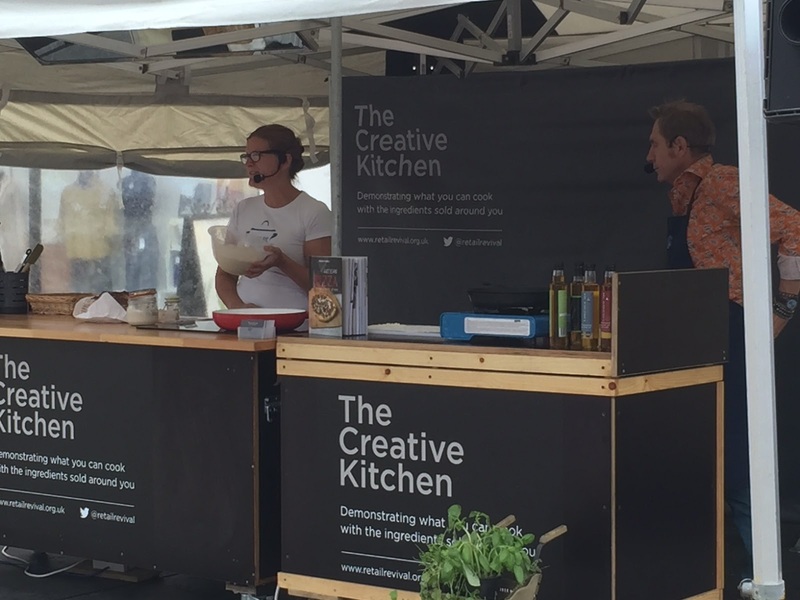 I had also been asked to do a demonstration/talk on Sourdough, on the main cooking demonstration stage. Owing to the disgruntled rantings of the wife of one of the chefs, my early slot was pushed back to allow said chef to return home at a reasonable hour and appease his wife. I was persuaded to take this later slot on the understanding that I would be sharing the stage with none other than Nigel Barden, the celebrity chef who does a slot every Thursday evening on BBC Radio 2, with Simon Mayo. I was also misled into thinking that if I went on with him, he would take one of my sourdoughs away with him and then use it/mention it on a future show. So I was all like, "Me? get a mention on Radio 2, my favourite station?! Yes please!". Oh, how I regretted that decision when it came to MY slot. Somehow, the resident compère and said Mr Barden completely misread my pre-stage nerves (understandably) as more debilitating then they actually were and so took it upon themselves to railroad my 15 minutes of fame and continue to present the makings of a sourdough pizza (albeit with my dough). At one point I was completely cutoff from the presentation and I had to stand there like a lemon whist they went on and on about onions, chorizo and other such toppings. At one point, internally, I bellowed in my head "SO NIGEL, WOULD YOU LIKE ME TO TELL YOU WHY SOURDOUGH BREAD IS BETTER FOR YOU THAN OTHER BREADS???!!! Suffice to say, I was not a happy bunny, although in the end, my Dad and step mum said that despite the crappy middle I managed to pull it back at the end. Note to self: I am more confident about my subject than I thought I was and I can clearly hold my own. BOOM! So, going off on a tangent there from my subject header, why 3 times a charm? Because I have just entered the Tiptree World Bread Awards. I am hoping to win with one of my 2 entries. Mind you, I hope for a lot of things. Wish me luck chums!